With extreme sorrow, LIBERA Associazioni Nomi e Numeri contro le mafie shares the news about the assassination of Berta Caceres, leader of COPINH – Consejo Cívico de Organizaciones Populares e Indígenas de Honduras, actively involved in defending her land, natural resources and the human rights of local populations. 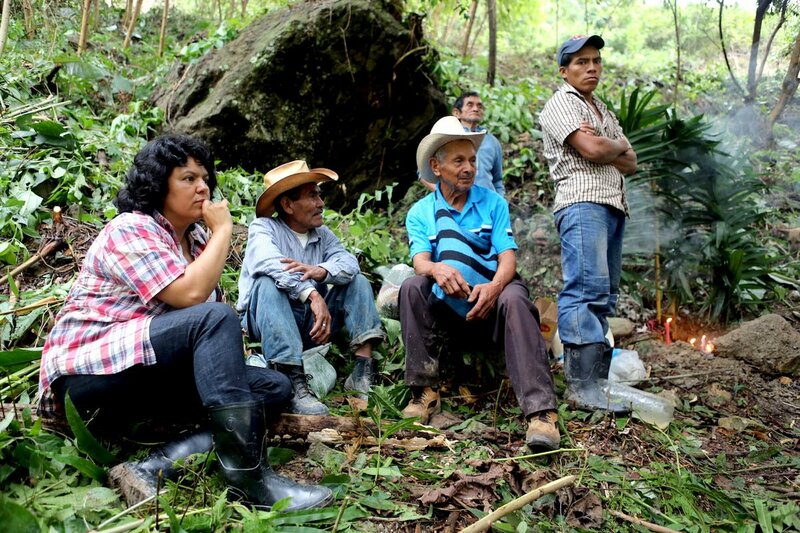 Berta, our friend and leader of the movement in defence of local populations, of the peasants and of the environment in Honduras, took part to the Meeting of the Popular Movements held in the Vatican, giving her contribution in front of Pope Francis. Berta had 4 children but she had to move in Argentina to protect them for the threats received. Libera’s international sector was in touch with her and her organizations, to support their fights for human rights in Honduras against the so called “los poderosos” , criminal groups that act illegally, by exploiting the lands and getting money out of these illicit activities, without taking care of the environment and of the consequences on the local populations. For this reason, in February 2012, Libera took part to the international meeting for Human Rights, held in the region of Bajo Aguan, to express our support and solidarity to these populations. Thanks to her fight, in April 2015, Berta Caceres won the Goldman Prize for the environment, the world’s largest award honoring grassroots environmental activists. This entry was posted in Blog, Latin America and tagged human rights, Libera, organized crime. Bookmark the permalink.